Week 9 of the grand mp3 download extravaganza. This song was written by Lee, and deals with the general user-unfriendliness of computers. This was written in a time before Windows, when the Sinclair empire was still king (in the UK, at least), hard disks cost about the same as a small car and held less data than a mobile phone does today. Things have improved since then. Or have they? The song is written as a kind of cheesy rap, totally programmed into the computer with only a short acoustic (mandolin) part at the end, and represents an ongoing battle against the computerised world. 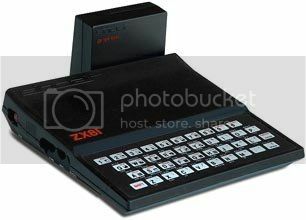 The part of the computer is played by a ZX Spectrum speech synthesiser – cutting edge stuff in its day!